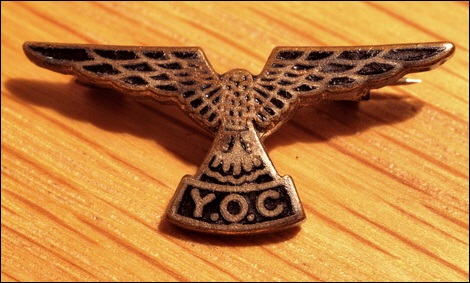 Now, it is not a well known fact, but when I was young I was a fully paid up member of the Young Ornithologists Club. Sadly, this venerable organisation seems no longer to exist which is a sad sign of our degenerate times. Anyway, twitching was not at the top of our itinerary when we planned to live in Spain. I should add that a twitcher in this sense is not some form os suburban peeping Tom, but rather a bird-watcher. Why does everything have to have some smutty connotation? I bet Bill Oddie never has to put up with such nonsense. However, we are in the middle of the countryside, in the heart of a stunningly beautiful valley surrounded by rich vegetation, and forested hillsides. It is a nature-watcher’s idea of paradise. As Winter faded away and Spring glimpsed over the horizon, we became aware that bird activity was to be a major force. With the sun comes a raucous dawn chorus, and we are becoming accustomed to being woken up by a relentless racket from the ubiquitous sparrow - or rather, collection of sparrows that congregate on our bedroom terrace. This is also the season of the swallow and the martin here in the valley, and the activity is spectacular. As we sit on the top roof terrace in the late afternoon, the swallows put on a stunning aerial display, swooping and soaring, layers deep into the endless blue sky, as they catch insects on the breeze and flit so gracefully back to their under-eaves nests. We have had a Blackcap hop onto one of the shrubs on the roof terrace, and seen one or two eagles floating high on a thermal over the gorge. When Andrew’s Father came to visit, we did take a brief trip higher up the valley one evening in the hope of catching another sighting of the eagle, sadly to no avail. We have seen two Hoopoes, which was thrilling for both of us. I admit, that despite my YOC credentials, I was initially unable to identify the brd, but Andrew was in no doubt. The first sighting was in the flat land to the east of Salobreña, right beside the sea. We were lost, and in the middle of a very heavily farmed patch of land, and across our path flew this bird before perching and raising its crest. Our second sighting was on the Cónchar road, on our route from the village over the top of the valley and out towards Granada. Just as we approached the Hacienda Señorio de Nevada Hotel and Vineyard, we were buzzed by one of these beautiful birds. Perhaps the most special sighting has been that of the Bee Eater. Neither of us had any idea what this bird was when we initially saw it. Actually, we saw a flock. We drove from the village up the country track to leads straight up the hillside to the Cónchar road - a road for the intrepid explorer, but one that usually provides some sort of bird sighting. It was late afternoon, and as we drove up the hill, I was aware of this flash of bright colour. On a tree, we noticed this bird perched on one of the branches, a flash of bright yellow on its back and when it flew there was a blur of metallic blue, like that of a Kingfisher, on its underside. As we watched this one bird, we became aware that there were several more, flitting from tree to tree and, apparently, these birds do tend to fly in flocks. Given the numbers of birds, and the proximity, we were able to get good sightings of the Bee Eater both in flight and perched, and quite memorable they are too. We have since seen then flying over the house, joining the swallows and the martins. We have seen, we believe, crested larks and a goldfinch. I keep telling Andrew that I am sure I have seen Buntings and Pipits, but he seems to display an air of scorn whenever I mention the YOCs. Fortunately, we have our trusted Guide to European Birds, always at hand.